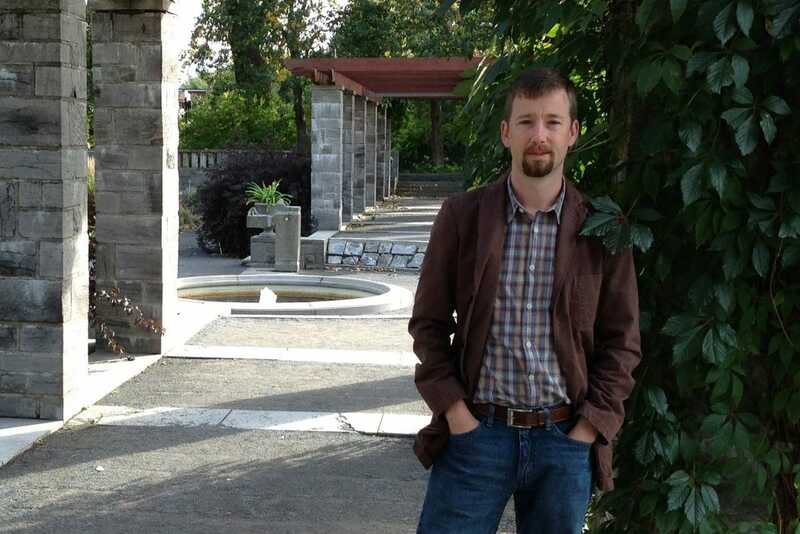 We’re thrilled to have a new landscape designer join our team this year. David Burton’s background, passion and design knowledge makes him the perfect fit for DiStefano Landscaping. We sat down to talk him about his experience, what gets him excited about landscape design and more. David has had several jobs before joining us, all relating to landscape design in their own way. 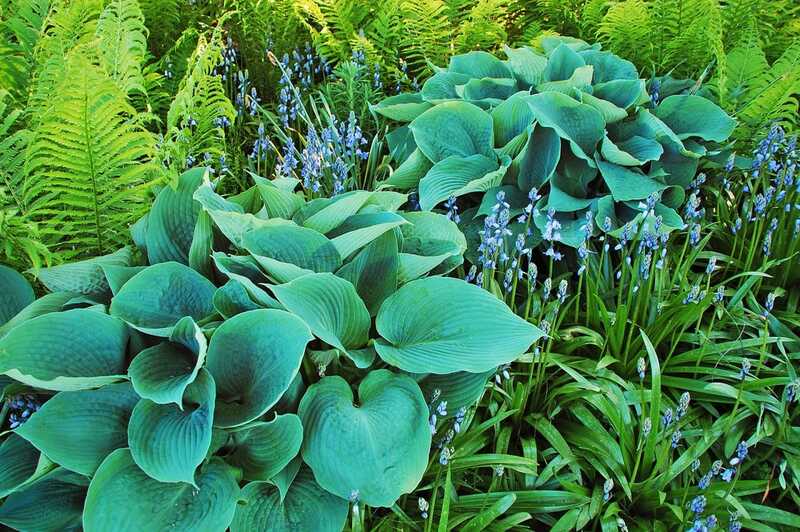 He managed a garden nursery in Virginia right after college, and then did landscape design in New Jersey. David says it was working for a landscape architect outside of Princeton, New Jersey, that helped shape his design aesthetic. 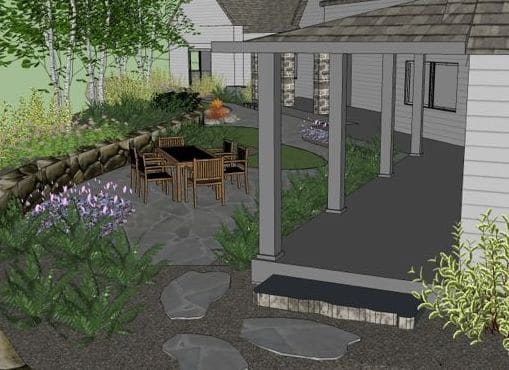 He moved to Vermont from New Jersey where he worked at Trowel Trades and then started his own landscape design company, Ginkgo Design. After several successful years with his own company, David decided to join our team here at DiStefano (and we couldn’t be more thrilled). One of David’s design pet peeves is a walkway with curvy edges. “If someone wants a curve in their front walkway, that’s fine, but why? Maybe it’s a feature – a boulder – it’s something that makes sense to curve, rather than just curve for the sake of a curve. These things are really key in how I approach design,” he says. David thinks an outdoor landscape really needs to feel like an extension of the home. “You want to – as much as possible – pull the materials of the house into the landscape. You want that repetition … you don’t want it to look like it was dropped out of outer space. So that’s really important,” he says. Last year with Ginkgo Design David did a large project in Colchester that incorporated a lot of different features. There were three water features, extensive lighting, a metal gate David was able to design, as well as a lot of planting. He explains that certain plants, like ornamental grasses, don’t come into their full form until the summer. So the areas around those plants in the early season are exposed to sun, making it easy for weed seeds to germinate. With this planting method, you’d fill in the bed with groundcovers around the grasses so weeds don’t get the chance to grow. “ The idea is to use layers; so you’re using a groundcover layer for weed seed control, a structural layer that has a deeper root system for erosion control, and then these seasonal layers of interest …” explains David. David says this way of planting was fun and challenging for him as a designer, which is one of the reasons he enjoyed this project so much. Although David is an avid gardener, he says with four small children at home there isn’t much time to landscape. He does have a wildflower meadow on his property that features a variety of native and pollinator-friendly varieties such as milkweed, goldenrod, red twig and more. David’s Favorite Shrub: Fothergilla, because of the gorgeous evolution of color that happens in the fall. David is getting ready for the spring season with DiStefano Landscaping and is enthusiastic about working with our amazing clients. “I’m excited for the opportunity to work on some interesting projects and develop a nice client base and work with them on fun projects,” he says. We’re excited too, David. Welcome!